I have always said the Yankees should have two general managers the way some football teams have two kickers. One GM could do the free-agent signings and one could do the trades, the way one kicker does kickoffs and one does field goals. 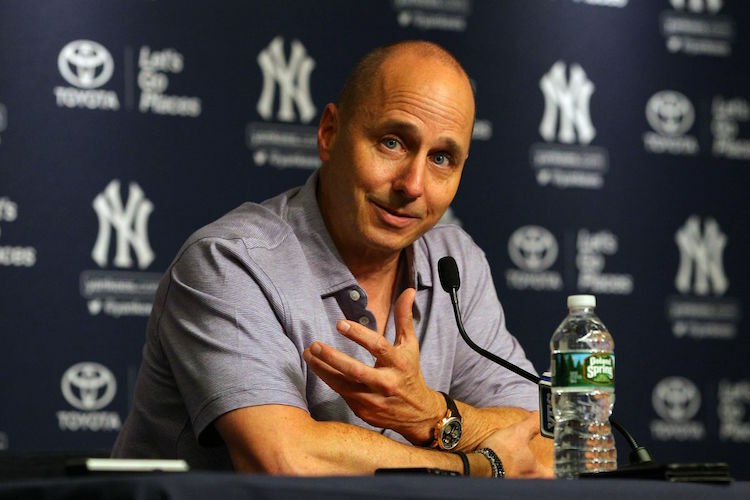 Brian Cashman could be the Yankees general manager who conducts the trades, and he could let someone else take care of the free-agent signings since the majority of them have been failures. Now Cashman has added Zach Britton to the best bullpen in the majors and J.A. Happ to a rotation in desperate need of veteran stability. He did so by trading two Triple-A prospects and a Double-A prospect whose paths to the majors was blocked, Drury, who is blocked by Gleyber Torres and Miguel Andujar, and Billy McKinney, who is blocked by the current Yankees outfielders and Clint Frazier. The Yankees gave up five players who were only ever going to be Yankees following a series of unfortunate events and injuries. I would think the Yankees are done with their pre-deadline deals unless Cashman looks for stopgaps for either Gary Sanchez or Aaron Judge for the next month. But if he doesn’t, there’s no room for another bat, the bullpen is already one pitcher too many, and with Happ, the rotation is full once again. Andujar has been rumored as the centerpiece in a trade for a starting pitcher, but now that Drury is gone, Andujar isn’t going anywhere. The same had been reported about Clint Frazier as well, but he’s back on the disabled list with concussion issues. I think it’s safe to say the Yankees team you see against the Royals right now (plus Sanchez and minus Kyle Higashioka) is the Yankees team you will see on Aug. 1 and through the rest of the season, and that’s a good thing. Britton gives the Yankees a second left-hander and a dominant one at that out of the bullpen. I would be shocked if Chasen Shreve is a Yankee much longer, but maybe getting out of that bases-loaded jam against the Mets last Saturday bought him another season of DFA immunity. I thought Shreve was one his way out long ago, but he has continued to survive, so I wouldn’t be surprised if he survived again. At least if he does remain a Yankee, he won’t be the only other left-handed option for Aaron Boone to go to. The more elite relievers the Yankees can obtain, the less bad decisions Boone will make. Happ gives the Yankees a veteran presence and rotation stability. He has AL East and postseason experience, he’s left-handed, and most importantly, he’s dominated the Red Sox for his entire career, outside of his last start against them. Happ had been good this season as the Blue Jays’ lone All-Star representative, and it’s not like he needs putting on the pinstripes and pitching in a pennant race to rejuvenate himself or revitalize his career like past Yankees deadline deals for starting pitchers. He just needs to continue to pitch the way he has. The Yankees are better than they were when they left Tampa Bay, since they couldn’t have been much worse outside of Masahiro Tanaka. They have a team that can win in October the way last year’s team did, and a team that could get that elusive fourth win in the ALCS the way last year’s team couldn’t. But first, they need to do everything they can to avoid the wild-card game for the third time in four years. The additions of Britton and Happ help them do that. My book The Next Yankees Era: My Transition from the Core Four to the Baby Bombers is now available as an ebook! Click here to purchase the book through Amazon as an ebook. You can read it on any Apple device by downloading the Kindle app.